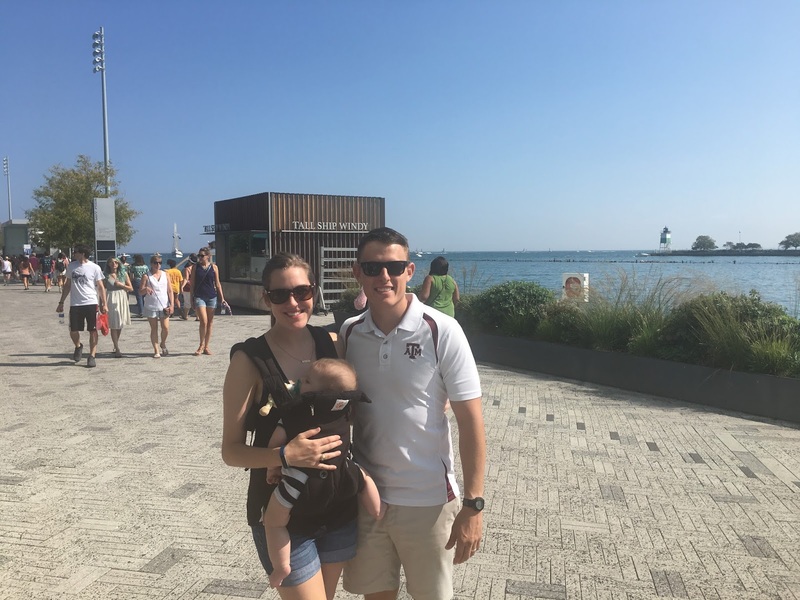 This past weekend, we packed up our little family and headed to a city we have always wanted to visit: Chicago! My aunt and uncle live there with my cousins, so we were so excited to visit them and see a new city. 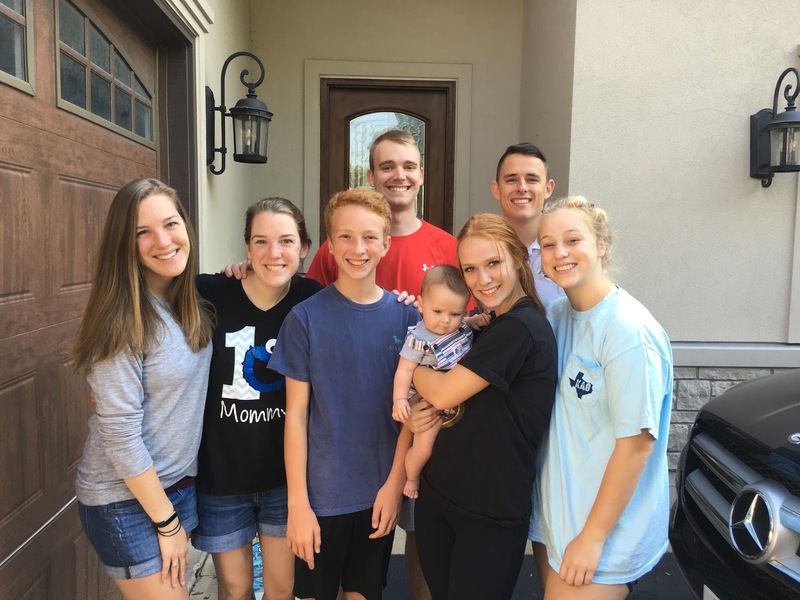 My twin sister and her family of three also flew in, and we loved getting the babies together again! It was a quick weekend trip, but we packed in as much as we could and loved every minute of it! Exploring a new city with a baby is a little different. Normally, Parker and I would have set out into the city and walked around all day long. With two babies that have to eat and take naps, that's not really an option. But, we made the best of what we could do, and my family was super accommodating of our littlest travel buddy. We started Saturday out with a trip to the Navy Pier. 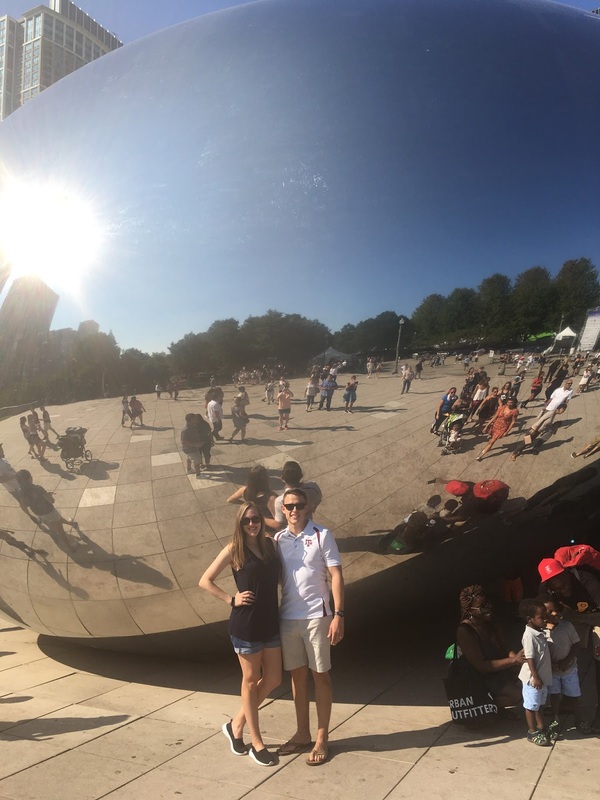 This is rated the #1 tourist attraction in Chicago, so we were excited to check it out. It was a beautiful 85 degree day, and the water was really pretty! We ate lunch at a restaurant on the pier, and Parker and I both had our first lobster rolls. I loved it and he liked it. 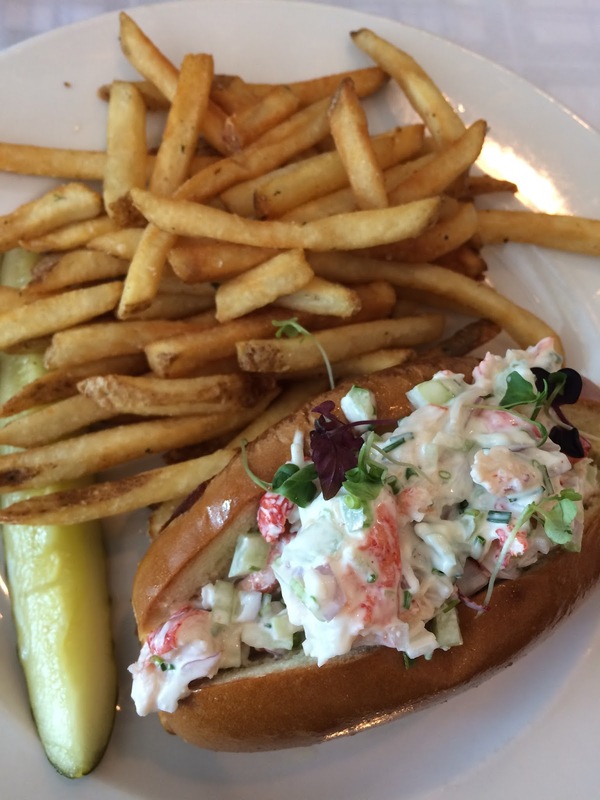 Neither of us are huge seafood people, but I thought the lobster roll was so so good! 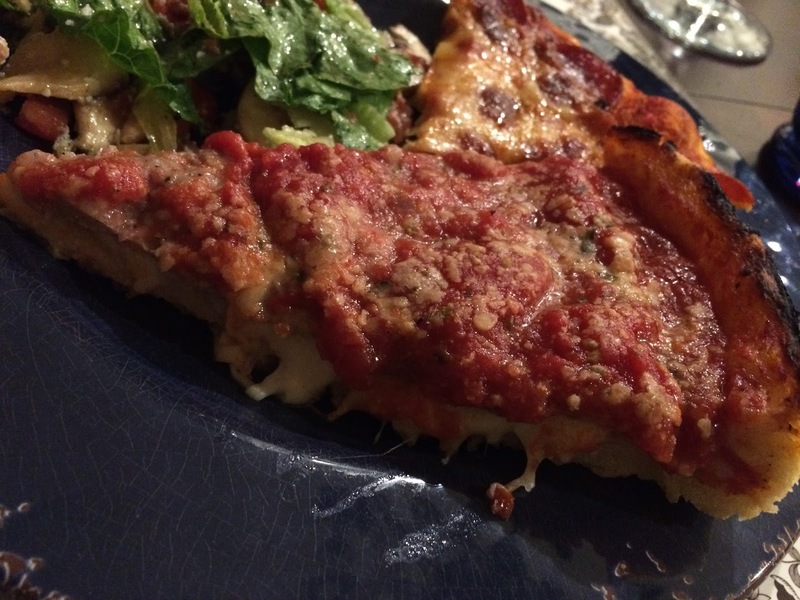 Speaking of food, Friday night we ordered in and had authentic Chicago deep dish pizza. Oh my goodness, that stuff was amazing! To think Chicagoans can just eat that whenever they want. So good. 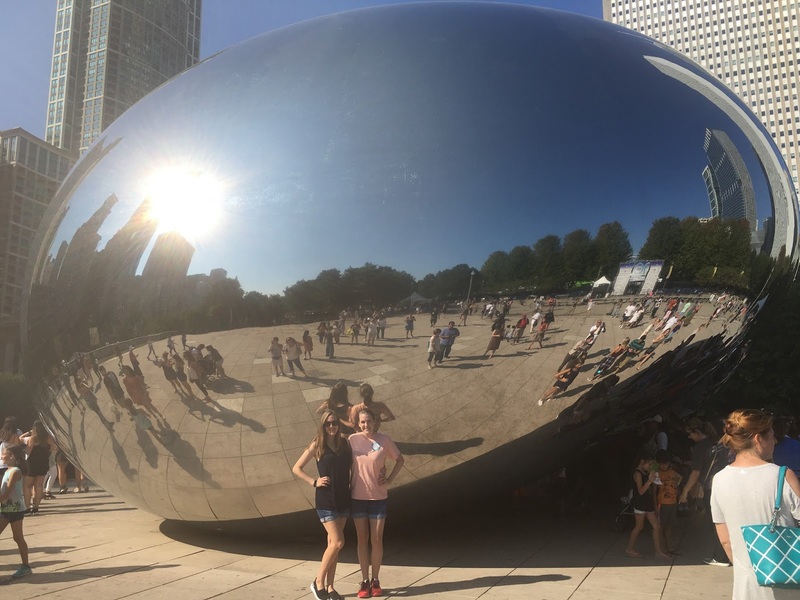 After we walked along the Navy Pier for a little bit, we headed to see that infamous silver bean. Why is this mirror bean thing so famous? I honestly have no idea, but we took our picture in front of it like the cheesy tourists we are and checked it off the old bucket list. Twin shot with the bean. It was much bigger in person than I was expecting! 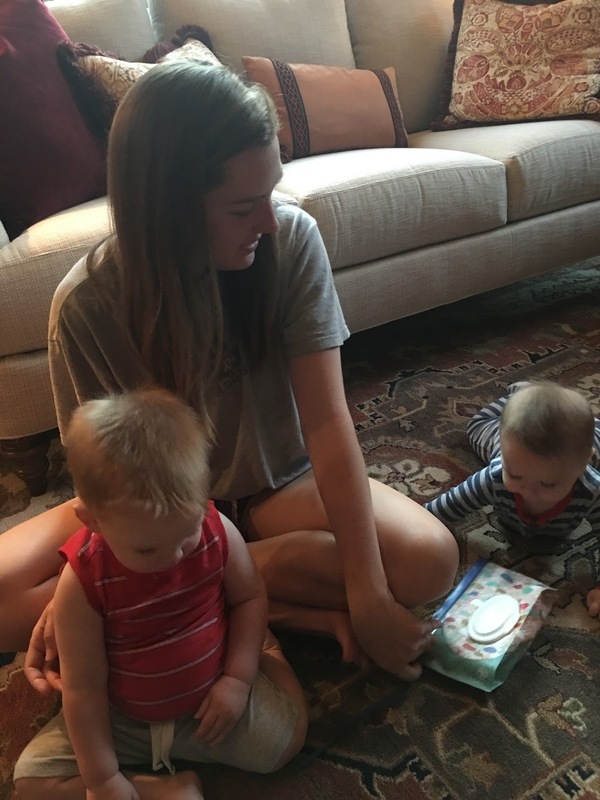 Other than touring the city for a bit, our days were spent doing this: playing with the babies. I wouldn't have it any other way! Preston and Emmett are so close to being able to play together. This time next year, they're going to have so much fun! Chicago was a really neat city, but these people were easily my favorite part. Quality family time with the people I grew up with... it was heaven. We were sad to say goodbye but thankful that the holidays are just around the corner so we get to see them again soon! It looks like you guys had SO MUCH FUN! WHat a great trip! And you are making me crave Chicago style deep dish pizza. So freaking good! I've never been to Chicago before but it's on my list of places to visit. And that pizza is making my mouth water! !